Click on a team logo to go directly to that team's General Manager's details. 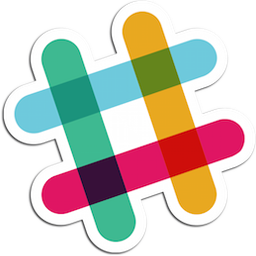 Click on the link to send a direct message through the Slack to the General Manager. Click on the link to send a Private Message through the website to the General Manager. Click on the General Manager's Facebook Name or Profile Number to go to their Facebook page to subscribe to their feed, follow them, or use facebook to correspond with this GM. Click on the General Manager's Google Plus name to go to their Google Plus page to follow them, view their feed, or correspond with them on Google Plus. Click on the General Manager's Skype screen name to go to follow the General Manager on Skype. Click on the Follow button to go to follow the General Manager on Twitter. Click on the General Manager's Yahoo IM screen name to communicate with the General Manager on Yahoo Instant Messenger. If any information on this page is inaccurate or you would like to add information, please ensure that all your information is correct in your User Control Panel. Forum Username: 445mrdavid Last Online: Coming Soon! Send David a PM or an Email or a Slack DM . Forum Username: rodbaylor-BravesGM Last Online: Coming Soon! Send Rodney a PM or an Email or a Slack DM . Forum Username: BostonGM Last Online: Coming Soon! Send Dan a PM or an Email or a Slack DM . Forum Username: TheCommish Last Online: Coming Soon! Send Josh a PM or an Email or a Slack DM . Forum Username: tkift Last Online: Coming Soon! Send Terry a PM or an Email . Forum Username: ahutch43 Last Online: Coming Soon! Send Andy a PM or an Email or a Slack DM . Forum Username: mmorganCLE Last Online: Coming Soon! Send Matt a PM or an Email or a Slack DM . Forum Username: mozer92 Last Online: Coming Soon! Send Jason a PM or an Email or a Slack DM . Forum Username: Tigers_Eric Last Online: Coming Soon! Send Eric a PM or an Email or a Slack DM . Forum Username: soadeathdealer-JB Last Online: Coming Soon! Send Kevin a PM or an Email or a Slack DM . Forum Username: Rick Last Online: Coming Soon! Send Rick a PM or an Email or a Slack DM . Forum Username: daken001 Last Online: Coming Soon! Send Daniel a PM or an Email . Forum Username: Taylor Smith Last Online: Coming Soon! Send Taylor a PM or an Email . Forum Username: Mr.Banks Last Online: Coming Soon! Send Rob a PM or an Email . Forum Username: bilko Last Online: Coming Soon! Send Bill a PM or an Email or a Slack DM . Forum Username: TwinsGM Last Online: Coming Soon! Send Lou a PM or an Email or a Slack DM . Forum Username: YankeesGM Last Online: Coming Soon! Send Chris a PM or an Email or a Slack DM . Forum Username: GaryO Last Online: Coming Soon! Send Gary a PM or an Email or a Slack DM . Forum Username: Mike_Athletics Last Online: Coming Soon! Send Mike a PM or an Email . Forum Username: dave Last Online: Coming Soon! Send dave a PM or an Email or a Slack DM . Forum Username: Jman Last Online: Coming Soon! Send Jon a PM or an Email or a Slack DM . Forum Username: flytheW Last Online: Coming Soon! Send Michael a PM or an Email or a Slack DM . Forum Username: Scott Last Online: Coming Soon! Send Scott a PM or an Email or a Slack DM . Forum Username: GiantsGM Last Online: Coming Soon! Send Bob a PM or an Email or a Slack DM . Forum Username: StLouisGM Last Online: Coming Soon! Send David a PM or an Email . Forum Username: Old timer_GM Last Online: Coming Soon! Send Jim a PM or an Email . Forum Username: Tampa-Gabe Last Online: Coming Soon! Send Gabe a PM or an Email or a Slack DM . Forum Username: kencoda Last Online: Coming Soon! Send Ken a PM or an Email or a Slack DM . Forum Username: ironchef Last Online: Coming Soon! Send Timothy a PM or an Email . Forum Username: Joe-NationalsGM Last Online: Coming Soon! Send Joe a PM or an Email or a Slack DM . Tweets by @TheShowCommish Tweets about "#TheShowOOTP"